This natural preserve turned traveller's nirvana is located just minutes from Negril’s stunning 7­ mile white sand beachfront. The Caves features 12 idyllic cliffside cottages and a grand villa. 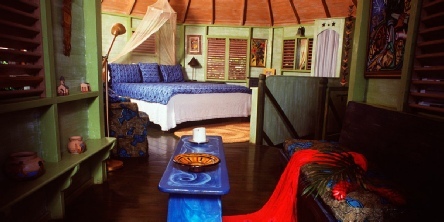 There are two dining gazebos, private caves and the signature Blackwell Rum Bar. There’s also a Spa, Jacuzzi, sauna, private hot tub and salt­water swimming pool, all just within steps of the glittering sapphire sea. Blue skies, bright nights, evocative moments. The Caves is a handcrafted utopia that combines all the natural glamour of Negril, Jamaica with a modern, metropolitan attitude. 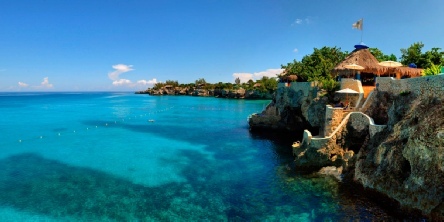 2019 package holidays to The Caves Resort, Jamaica Prices are per person based on two sharing.